Last week, we talked about the different financial personalities, and how everyone saves and spends money in different ways. If you checked out yours and fall more into the spender than saver category, today I would like to show you that saving is much easier than you think. 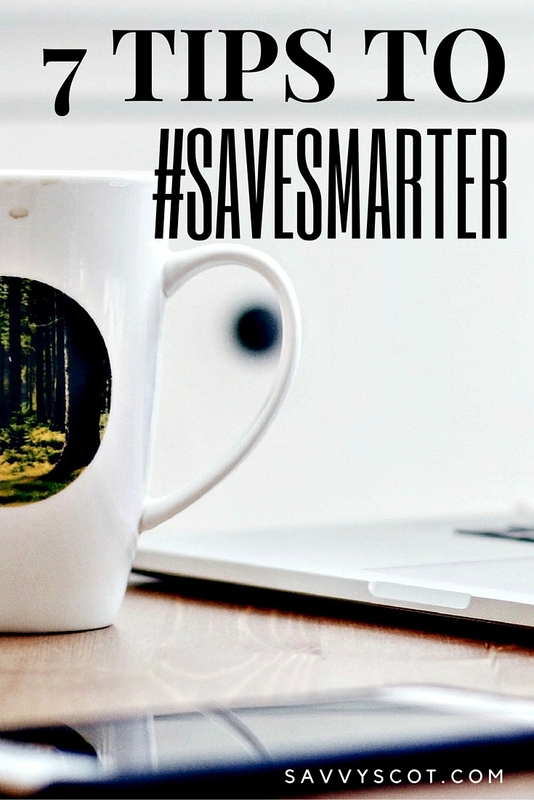 You just need to #savesmarter. Here are 7 tips to help you do just that. Wasting food is like throwing money away. You went out of your way to shop and bring the food back home, and waste time and effort on top. Make sure you don’t buy the products you throw next week. Try to fine tune your grocery list, and still have a few tuna cans and pasta so you can whip up something if the fridge is empty. Put the products that are about to expire right in front of you when you open the fridge. Turn off the lights when you leave the room. Unplug your electronics when you leave the house for a week. Take showers instead of baths. Turn off the tap while you brush your teeth. Every little adds up and will lower your energy bill. If you feel like going shopping, try to find something in your closet you haven’t worn in a while. If anything, buy a cheap accessory to make it look like a new piece of clothing. Try to use your smartphone a year longer before replacing it. Try fixing broken appliances instead of buying new ones. How many times have you ordered delivery food because you were too tired to cook? How about buying expensive flights at the last minute, when you knew the dates of Easter back in September? Planning ahead can help you get early bird deals, as well as preventing you from having to buy costly convenience items. Always have a frozen meal ready, and every quarter, plan ahead for the next, in term of leisure and holidays. When you do decide to buy something, sleep on it. Or wait a couple of weeks if you can. Do you still need that item? Will you use it frequently enough to make the purchase worth it? How about finding coupons and deals online to get it cheaper? Make sure you buy quality items that will last, and try to get them for the lowest price possible. While having a mortgage can be considered “good debt” since you invested in a house, credit card debt is not something you want to carry around eternally. Try making overpayments every week or month, with the money you are saving by eliminating waste from your life. All these easy tips will help you #savesmarter without affecting your lifestyle much. It is not about depriving your self of the good things in life, but rather saving money where you used to spend it mindlessly, so you can afford the good stuff. Find out more over at Aviva. I am a big fan of #7. We had credit card debt years ago that we were paying a ridiculous interest on. Glad that is long paid off and no longer paying credit card interest anymore.